Children's Day is recognized on various days in many places around the world, to honor children globally. Universally Children's Day takes place annually on November 20. Children’s are most innocent people in this world; they make us laugh by doing the cutest and innocent thing. We forget our all problem if we could spend 1 hr with children, children’s are adorable and amazing to see them whatever they doing. 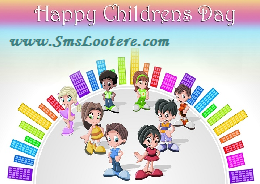 Celebrate Children's Day with children to enjoy one of the best days of your life. 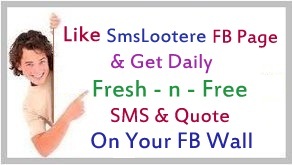 Share this cute collection of Children's Day Quotes with your near one’s and say Happy Children’s day with love by SmsLootere.com. While We Try to Teach Our Children all about Life.. Our Children Teach Us what Life is all about.. Happy Children’s Day..! Children are the Keys of Paradise. The Soul is Healed by being with Children. Happy Children’s Day..
Children’s are Budding Stars, the more You Embrace them the more they Shine.